There’s a new tool that can give businesses around the world an edge over their competition. In many cases, this advantage could be the difference that helps an organization to be successful, profitable and operationally excellent. The new international occupational health and safety (OHS) standard ISO 45001 provides a once-in-a-generation advantage that forward-thinking businesses will quickly utilize to their benefit. ISO 45001 can help you achieve and maintain a world-class safety culture that helps protect your employees, your customers, and your business. An international group of safety and health experts worked together to develop what is now viewed as the “gold standard” in safety and health risk management. The ISO 45001 standard provides a framework to help businesses significantly enhance their safety and health programs, reduce workplace injuries and illnesses, and dramatically improve employee productivity and quality. Such improvements should also contribute positively to the bottom line. ISO 45001, an international consensus and certification standard for occupational safety and health, is also recognized by the American National Standards Institute. Under the ISO 45001 framework, management teams create, facilitate, maintain, evaluate, and promote their organizations’ safety risk management systems. This places a great emphasis on business leadership participation. ISO 45001 also requires worker involvement in the decision-making and evaluation processes. Additionally, the standard requires businesses to consider safety risks that impact “other interested parties,” such as contractors, vendors, suppliers, passers-by, neighbors, and other members of the public. ISO 45001 was developed to be applicable to any organization, regardless of industry, size, or type. Its specifications and guidance to enhance the performance of your workplace safety program were developed to ensure that they could be integrated into any business management process. Organizations with other ISO certifications have an advantage when it comes to implementing ISO 45001. The new standard uses the same Annex SL framework (essentially a template) utilized in the well-known ISO 9001 and ISO 14001 standards. So if your organization is ISO certified, you likely are very familiar with the procedures related to implementation, documentation and auditing. Currently, about 130 nations use the British-based safety management certification standard OSHAS 18001. However, ISO 45001 will replace OSHAS 18001, which is set to expire in 2021. Businesses currently operating as OSHA Voluntary Protection Program sites also have an advantage when implementing ISO 45001. Organizations that participate in VPP have already demonstrated that top management is committed to workplace health and safety. These organizations operate in a culture that is focused on minimizing employee injuries and illnesses. These businesses will become even more proactive when it comes to employee safety after implementing ISO 45001. ISO 45001 places great emphasis on planning, operational support, performance evaluation, continuous improvement, and management and worker participation through implementation of the Annex SL framework mentioned earlier. ISO 45001 is designed to help organizations identify and abate job hazards before they can lead to any accidents. The benefits of achieving ISO 45001 certification are numerous. When you implement the framework in your business, you can help improve corporate culture, boost cost savings, increase worker productivity, enhance product quality, and elevate company recognition and reputation among customers and the community. Choosing this safety certification milestone transforms your workplace culture from “correction mode” to “prevention mode.” This positive action also contributes to successfully meeting your business goals. Once your company achieves ISO 45001 certification, you can expect to significantly drive operational cooperation and internal process improvement. It is possible that ISO 45001 certification could help expand your customer base or market share. The day may come when businesses at the top of the supply chain will require their vendors and suppliers to become ISO 45001 certified to continue their partnerships. Once you have determined that your business wants to achieve world-class safety at your facilities, you have important work yet to do. 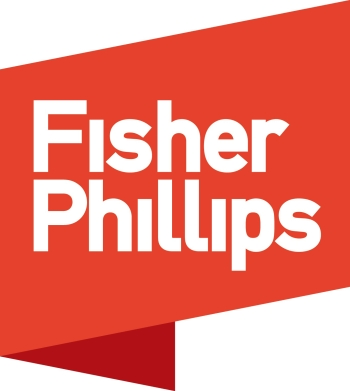 Fisher Phillips has launched a new company, Fisher Phillips Safety Solutions, which can help guide you through the process. The new company is made up of highly experienced safety professionals who can take your company through the entire certification process. The process includes such steps as conducting a gap assessment audit, developing an action plan for improvement, eliminating the exposed gaps, and providing the onsite resources to successfully complete the ISO 45001 certification audit. Working with Fisher Phillips Safety Solutions, you can meet sustainability goals, improve productivity, increase profitability and enhance corporate image in the minds of investors, clients, and customers. We are already seeing increased pressure from clients, investors, consumers, and regulators on companies to put a greater emphasis on the health, safety, and well-being of their workforce. This means that health and safety programs must be embedded in company culture and address the unique intricacies of organizations, no matter the size of the organization or its industry. Fisher Phillips - Edwin G. Foulke Jr.